To venture into the wilderness, hikers need to learn how to deal safely and wisely with all its challenges. 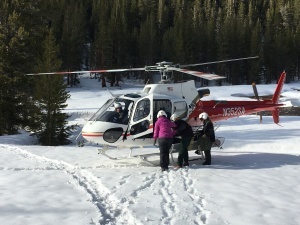 A mistake in the backcountry will only send you home hurt and sorry you went, if you get home at all. So, they need to be made aware of the hazards and risks involved before they step away from home. This is where we come in! Back in 1974 at the age of 17, our founder, Ned Tibbits, “thru-hiked” for five-and-a-half months from Mexico to Canada on the newly-created Pacific Crest Trail. During this time he felt the Spirit of Christ in the mountains, but not yet in his own life. Nevertheless, the expedition changed him by awakening his heart and quickening his spirit to the voice of his Father God. This is what being in the wilderness-presence of God can do for you, but many do not recognize this! There was an event at the beginning of this journey, on one trailside night in Southern California, Ned noticed five college students huddled together for warmth on the snow in the dark in the middle of a mountain meadow. Ned was camped nearby and was suddenly and unexpectedly made aware of their crisis when another lost hiker asked for help to find the trail back to town. It was then as the evening grew dark, after Ned showed the lost hiker the way to go, that he heard the group’s voices from the nearby meadow. As he headed in their direction, he found the five dressed in summer shorts and tennis shoes and shivering uncontrollably from the early stages of deadly hypothermia. Knowing they needed hope and direction, he showed them the trail and how to get back to town. It was afterwards in his tent that God showed Ned that people have a need for wilderness, but must respect it first, if they wish to enjoy its benefits. 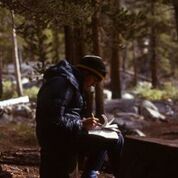 Mountain Education started out in 1982 as “Mariah Mountaineering” teaching backpackers how to extend their hiking seasons by learning how to snow-camp. In our minds, wilderness fun is maximized through good Planning, Preparation, and a healthy awareness of the “Realities of the Trail.” It is all about “Staying Found,” “Playing Safe,” and returning home with lots of stories of fun and excitement to share with friends! Mountain Education, Inc. is a State of Nevada Non-Profit Corporation, an Internal Revenue Service public charity, 501(c)(3), and operates under special use permits from the US Forest Service and National Park Service.